Some regulars from the Antifolk scene have recorded songs of folk legend Shirley Collins for a compliation, part of a Kickstarter campaign to make a film about the now 80-year-old performer. For those of you not familiar with Shirley Collins, she helped change the course of folk music in England & America in two ways. The Sussex born singer wrote and performed on many influential tracks, with songs like Space Girl that would go down a storm at an Antifolk Festival in the Sidewalk Cafe or 12 Bar Club if played today. She will also go down in legend for her role in the Lomax recordings. 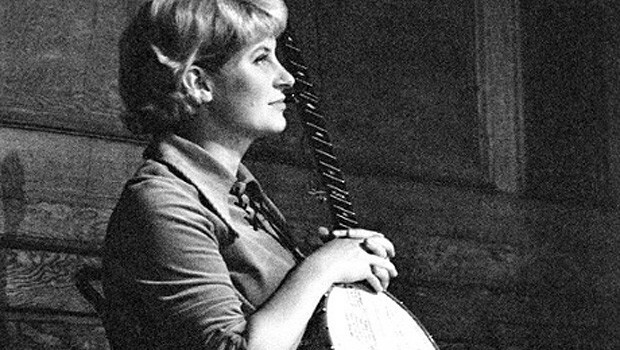 In 1959, a young Shirley Collins travelled with the influential songhunter Alan Lomax on arguably his most important song collecting trip across America’s Deep South. Shirley Collins was having an affair with Lomax, who was twice her age, as they travelled through the American South recording then unknown artists, including the likes of Mississippi Fred McDowell. Artists on the compilation include Bonnie Prince Billy (Will Oldham), Lou Barlow (Sebadoh/Dinosaur Jr), Graham Coxon, Sam Lee, Ned Oldham (Will Oldham’s Brother) and Sam Amidon. Antifolk scene regulars include Filthy Pedro, Joe Murphy (Sergeant Buzfuz) and Slate Islands.